on friday night my studio had its annual dance recital. it was nice to be a part of it for the fourth year in a row, but it was also bittersweet since this was the final recital for the studio since the studio will now be closed for good as the owner has decided to retire. this year's recital was called "girl powered" and the theme was strong women / super heroes, and i performed in 5 numbers. i choreographed and danced in the opening number which was a senior ballet/lyrical style to the song "believer" depicting the incredible hulk. i demonstrated for the youngest baby class to the song "time to be awesome" from my little pony depicting unicorns, as well as another young baby class to the song "home" from the movie ferdinand depicting matadors. my senior ballet pointe number was to the wonder women theme song, and the finale brought together all of the current students and many past graduates to the song "we are family." it was very surreal thinking about the fact that this was the final performance for the studio. it was also extremely bizarre not to have ryan there because he was off working another dance show that night. i'm looking forward to getting the video of the recital to watch it with my family. 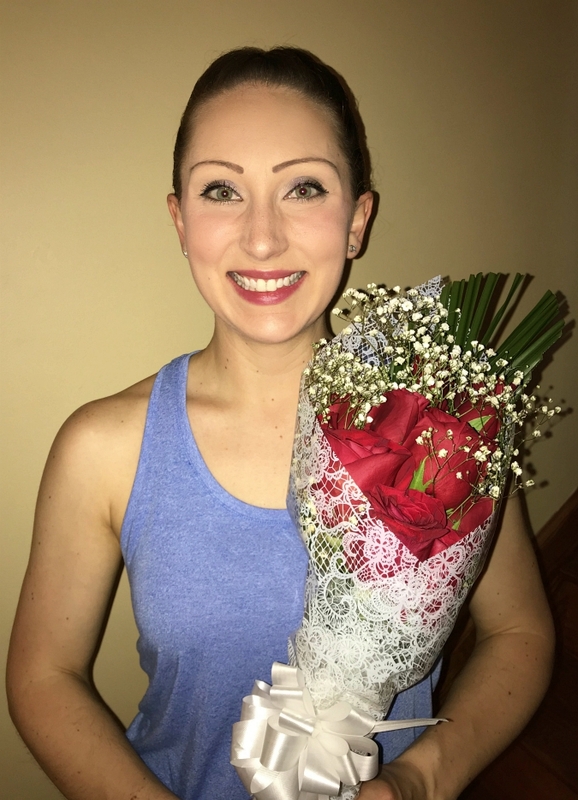 i didn't get many photos on friday night, but when i came back home at the end of the night ryan snapped the picture above of me with my bouquet of red roses from the studio director. the photos below are from my friend who was the videographer. he snapped them as he was filming the show. as much as i am going to miss having a place to dance on a regular basis, i'm looking forward to having the summer off so i can rest my aching body and tend to several injuries that were aggravated by dancing. here's to getting my body back and maybe finding a new place to dance someday! I am really anxious to see the video.